We've all been there--it's late, you're exhausted, and the last thing you want to do is spend ten minutes taking care of your teeth before collapsing into bed. Here's the important thing to remember – the health of our mouth is closely linked to the health of your overall body. In fact, some physicians who suspect heart disease will often refer patients to a gum specialist. While nothing will replace a flossing and brushing routine, there are some steps you can take to boost your dental health, starting with what you eat. 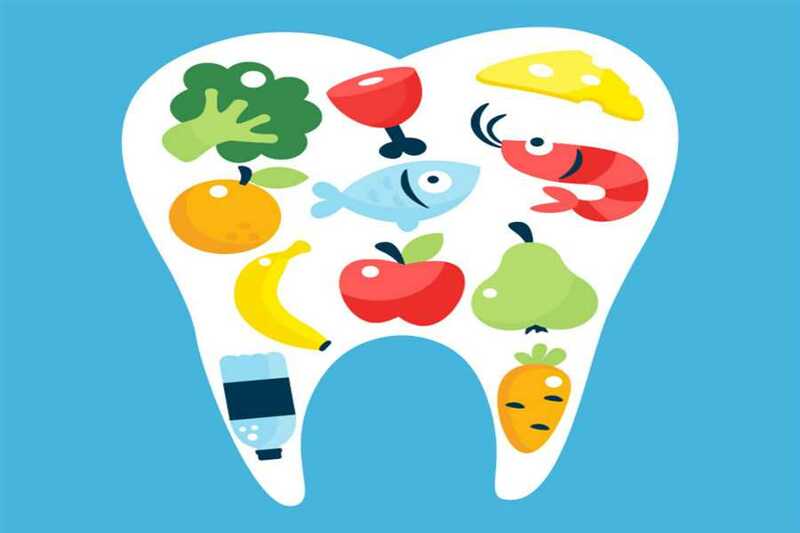 Let’s examine a few foods that are actually good for your teeth. Health and nutritional experts have been singing the praises of leafy greens for years, citing their many health benefits. However, you may not be as familiar with their benefits for your teeth. Kale and spinach, in particular, are full of vitamins and minerals. They're also high in calcium, which helps build tooth enamel, and folic acid, which helps promote healthy gums. If you need to incorporate leafy greens into your diet, consume a few great salads or add them to your pizza and sandwiches. If you don't enjoy the taste, throw them in a fruit smoothie--fresh berries and honey can usually cover the taste. There is no doubt that your bones, including your teeth, need calcium and protein to be healthy. The bad news is that your body doesn't produce calcium on its own. Fortunately yogurt (especially Greek Yogurt) has an abundance of both. In addition, the probiotics (healthy bacteria) found in yogurt can help strengthen the bacteria in your mouth. Why would you want more bacteria in your mouth? Simple - good bacteria can help crowd out the bad bacteria that causes cavities. Dairy products are extremely important when it comes to the health of your bones. Cheese lovers will enjoy knowing that cheese has high levels of phosphate and calcium, which are good for your bones. Cheese also provides an added benefit - it can help balance the pH levels in your mouth, reducing harmful acid and lessening your risk of cavities. In fact, some dentists recommend you eat a small piece of cheddar after a meal to combat acid erosion. An apple a day keeps the dentist away! Apples are acidic and have been knows to contain a higher sugar content, so it's understandable why some think they don’t provide great nutritional value. In fact, apples have two saving graces - they're full of water and fiber. The water content in apples helps dilute the sugar they contain. The action of eating an apple promotes saliva production, rinsing away food particles and nasty bacteria. The fibrous texture provides an added benefit, stimulating your gums. Carrots are another crunchy food that many suspect are bad for your teeth. You couldn't be more wrong. Like apples, the crunchiness of carrots means they have a high water and fiber content, which is good news for your mouth. In fact, they're known as a cavity-fighting veggie, since munching on a raw carrot has the effect of a natural toothbrush. The high levels of keratin in carrots are not only used in relation to hair, but it is also great for fighting plaque. In addition, carrots contain high levels of Vitamin A, which is vital for producing strong tooth enamel. Based on apples and carrots, you can probably guess where the benefits of celery come in – it’s crunchiness! Celery often has a bad reputation, especially among children who don't like the blandness. However, the water content and those pesky, crunchy strings are excellent for the health of your mouth for a few reasons. For one, celery functions like a natural toothbrush (similar to carrots). Second, chewing celery gives your teeth, jaw, and gums a workout - it massages your gums (thus clearing away bad bacteria), cleans your teeth, and encourages your mouth to produce plenty of saliva in the process. This additional saliva helps clear away any lingering harmful bacteria. Wait, what? Gum? Yes, gum. The important word to note here is sugarless. Gum might not quite qualify as a food, but it certainly does provide one key benefit for your teeth that is worth noting, Gum forces you to chew more, which encourages saliva production. This helps clear away any lingering bacteria and cleans your mouth while you're chewing. Most people think of strawberries as sweet and acidic, staining everything they touch in red. How can they be good for your teeth? Actually, strawberries contain malic acid. Though it might seem counterintuitive, this actually means that strawberries are great for whitening your tooth enamel. In fact, you can utilize strawberries to develop a homemade tooth whitener. Crush a strawberry to a pulp, mix it with baking soda, spread it on your teeth with a soft toothbrush, and brush/rinse five minutes later. If strawberries become part of your daily diet, you must consistently floss. Strawberries have those little pesky seeds that can become stuck between your teeth and cause plaque buildup. Of course, great dental hygiene is about so much more than just eating foods that are good for your teeth. It's important to keep your eye on the big picture. We're here to help make sure you keep your focus not only on your dental health, but your overall health and provide you with a healthier smile. We offer dental care to residents of San Ramon and surrounding communities. Contact us with questions or to make an appointment!